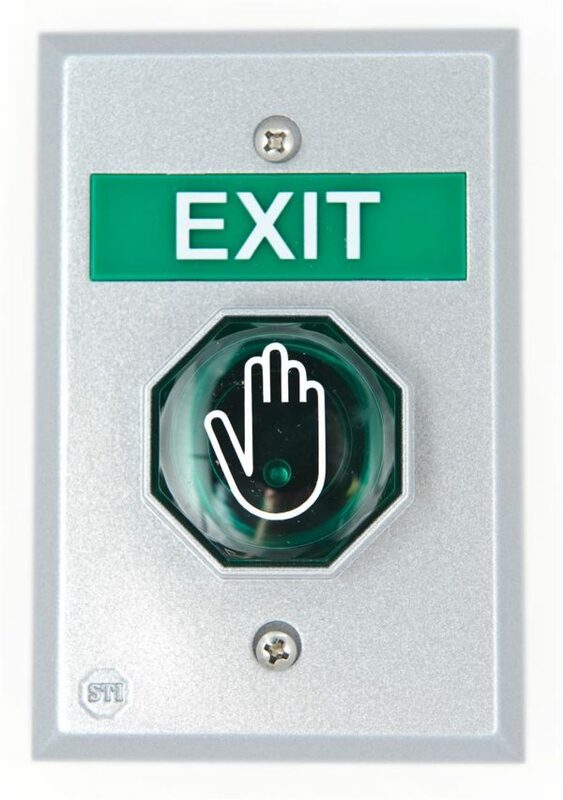 This touch free button applies NoTouch® technology and allows a user to exit a protected door without the touch of a button. 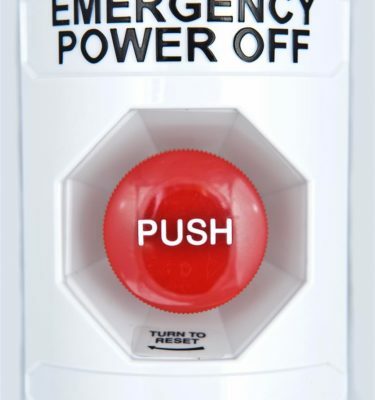 To exit, the person simply waves their hand in front of the button. The infrared will pick up the motion and unlatch the protected door (time adjustable), allowing an authorized exit. The polycarbonate button offers a built-in microcontroller with a power on self testing function. Unit has an infrared life of over 100,000 hours and contains a special infrared encoder to help avoid distraction from other infrared. The faceplate is constructed of cast aluminum, allowing it to take tough knocks in stride, and is slightly oversized to cover old plate installation marks. 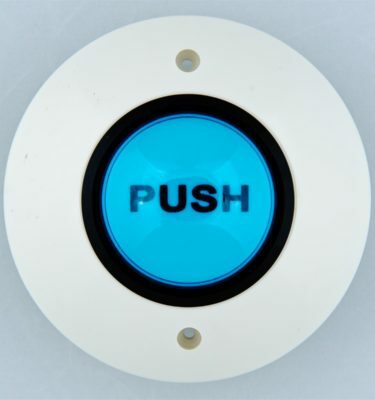 Button and message plates are constructed of high impact polycarbonate. Built-in microcontroller with a power on self testing function. 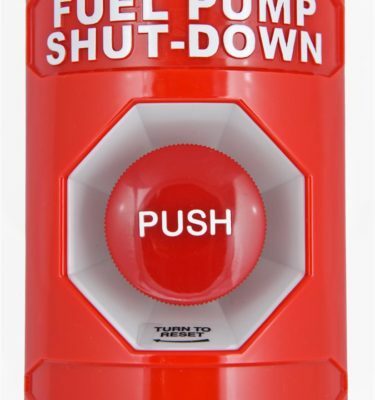 Button and message places constructed of high impact polycarbonate. Faceplate constructed of cast aluminum and is slightly oversized to cover old plate installation marks. Adjustable latch time 0.5 ~ 20 seconds. Adjustable proximity range 0.4 ~ 4 in. (1 ~ 10 cm). Dry contact rating is 1 amp @ 24VDC. One set of Form “C” contacts @ 1 amp, 24 VDC. Operating temperature -4° ~ 158°F (-20° ~ 70°C). Sensor life of 100,000 hours. Illuminated message lens light kit. Three different lens covers: red, blue, green. Three year guarantee against breakage of polycarbonate lenses in normal use (one year on electro mechanical and electronic components).